People don’t usually complain. Instead, they take their business elsewhere. This is true of consumers making choices of which restaurants to revisit, which brand of electronics they stick with, and which air carrier to choose to fly with. Employees, it is said, don’t leave jobs; they leave bosses. There are perceived risks to complaining, from minor push back to being fired. These days even whistleblower protection isn’t perceived as any guarantee. So the better option for the employee is to move on. The consequences for business can be higher turnover and lost investment in expertise. But a very few consumers and some employees do actually complain. That is why Barlow & Møller titled their book “A complaint is a gift”. They assert that companies need to embrace complaints as a valuable but scarce resource that gives them feedback they can use to correct the inevitable mistakes that occur in doing business. These days there is also the online review to consider. A whole industry has been built on providing reviews, and a corresponding industry has been built on helping companies maintain their online reputations. The number of people taking the time and effort to post online reviews is also low compared to the number who just take their business and their money elsewhere. For consumers with disabilities, the number of people making complaints is low. For employees with disabilities it is even lower still. Why is this the case? Living with disabilities can be difficult because of the way products and environments are designed, and because of societal factors. While there may be legitimate causes for complaints, many consumers who have disabilities say that if they always chose to complain when they had a reason to, it would be a full time job. It’s hard to get a job. People with disabilities are one of the most marginalized minority groups in terms of employment numbers. The numbers are very low, approximately one third of the population of people with disabilities have a job, compared to well over two thirds of the nondisabled population. Of those who do have a job, a sizeable percentage work in so-called ‘supported workshops’, essentially low-paying programs providing menial employment for people with disabilities. For anyone who has a disability the low employment numbers reflect the difficulty of successfully job seeking in the open labor market . It’s perceived as hard to keep a job. For people with disabilities who manage to get jobs in mainstream businesses, the cultural expectation is that the employee earns the job on merit, irrespective of having a disability. The unspoken pressure is on the individual to achieve the same performance goals as their peers. Any impediment to performance goals stemming from the disability might be purposefully hidden by the individual. Peers and superiors may be completely unaware that the individual works longer hours and extra weekends to meet their performance goals. In the face of this pressure, the urge to complain—if the performance gap is due to inaccessible technology—is overridden by the desire to stay employed. Even though there are acute cultural pressures on employees with disabilities to refrain from making complaints, the presence of a complaint process has been held up as a solution to any possible problems that employees might experience. In the US government, for example, Section 508 of the Rehabilitation Act requires that agencies have mechanisms in place to respond to complaints. With the difficulty in obtaining a job, the number of people with disabilities available to make a complaint is already low. With the perceived difficulty in maintaining a job, the likelihood of those few people making a complaint is also very low. Does this mean that the organization is doing a good job with its disability access programs? Or is the lack of complaints generating a sense of accomplishment that has no foundation? Formal complaint processes are reactive in nature. For the rare instances where complaints do arise, those responsible for responding typically address problems as a matter of great urgency. People want to do the right thing. They don’t want a complaint, or any escalation of a complaint, hanging over them. Such reaction-based mechanisms, while well-intentioned, can never tell you how well you’re performing. The only way to really get feedback is to implement proactive programs. Think about a recent purchase you made or a hotel stay you booked online. Companies that want to maintain their online reputations now send you reminder emails (sometimes too many emails) requesting your review. Not everyone wants to be a reviewer, but companies realize that the way to find out how they are doing is to ask. Better to ask and find out now than find out later through declining sales. You can assume you’re doing well, or you can go out and challenge your assumptions by measuring how you’re actually doing. This guide provides steps that you can take to proactively assess how well you are doing for your employees with disabilities. You may already have programs to get feedback from your employees, and the items in this guide can be used as additional modifications or enhancements to those programs. It’s often said that the most valuable asset of any company is its employees. The individual employees are like cogs that make the company machine work. 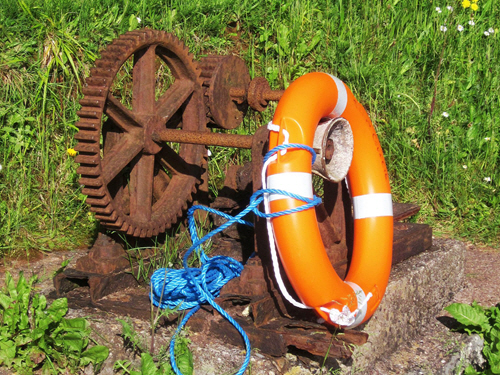 What do you do for your employees who are drowning in problems you don’t know about? Do you populate the environment with floatation devices? If the only thing you provide them with is a complaints box, you might as well hand them a brick so they can sink to the bottom. Note: This guide covers options beyond complaint procedures for employees of organizations. Some of the points may be applicable for considering feedback for consumers, but that is not the focus of this guide. We have produced a separate guide for consumers on alternatives to making complaints as the sole means of resolving technology interaction issues. With the exception of Step 1 (policy), which we recommend you do first, the steps below can be in any order. After an appropriate period of time doing things listed from other steps, you’ll have additional experiences on which to base revisions to policy later on. The best way to facilitate organizational change is to get executive support (see also our companion guide for making successful pitches to executives). Once you have executive support, you can enshrine your strategy and plans into policy. The policy document is a reference tool that can be returned to when things go awry. Start with policies that affect the largest number of people, such as human resources policies, and employment policies. How do you know how well you’re doing now, and how will you know you’ve improved to a level that meets your stated goals? It’s better to actually take measures than to make guesses. What percentage of our web pages meet accessibility requirements? Of the technologies that our employees use on a daily basis, how many are usable by someone who has a functional limitation in terms of vision, hearing, speaking, or physical capabilities? Of the corporate-wide memos last quarter, how many were vetted to ensure they were readable by employees who use screen reader technologies? How many all-hands meetings required sign language interpreters? How many contacts were made to our employee technical support help line that had anything to do with accessibility? How many disability accommodation requests have been made by employees in the last year? What proportion of our training course graduates have disabilities? What percentage of those promoted to management positions in the last year have disabilities? How many of our employees self-report having a disability? Note: For the last item, self-reporting of disabilities is usually required only when an employee requests an accommodation. Many people with disabilities don’t self-report, for the reasons discussed earlier. While the numbers generated in Step 2 might give you an idea of where you are, you can’t really get an idea of cultural issues without also getting feedback on how people think things are going. This applies to both employees with disabilities and those who are nondisabled, because both will have opinions that are relevant. Sitting down for discussions with employees informally over coffee can be enlightening. There is a place for both informal and formal interviews with employees on how the technology is working for them, and whether they are doing extra work in order to keep up. ‘Culture’ is simply a shorthand word for ‘what people say’ and ‘what people do’. So ask people what they say and what they do. This information might be useful in explaining any data anomalies from Step 1. For example, Departments A and B do similar tasks, but for slightly different sectors of the market. Department A has 50 employees and four have disabilities; whereas Department B has 300 employees and none of them disclose having a disability. What are the reasons behind this disparity in numbers? What can we learn, and what can we adjust? Note: In interviewing employees with disabilities, privacy will be an important concern. If employees are reluctant to complain, then they may be reluctant to give you their true opinions if they think that the opinions they provide might get back to their boss, and in turn have negative consequences on their jobs. You may need to carefully consider how to maintain anonymity of comments, and take specific steps to protect the privacy of employees who may unwittingly feel vulnerable. “Nothing about us without us.” This sort of mantra is self-explanatory. It applies to all diversity issues. Like congress forming all male committees to discuss birth control, forming a committee that relates to disability access without any members who have disabilities is ill-advised. Note: If your committee has anything to do with employment, approximately 20% of the population has some form of disability, so it’s not unreasonable to expect to have some representation from people with disabilities. In other words, it’s not just committees specifically targeting accessibility issues that need representation from employees with disabilities. Is there a place for regular open discussion of disability related topics at your organization? Social groups may naturally form (e.g., deaf employees taking lunch together because they know sign language), but having formal affinity groups may provide a means to gather feedback. Being proactive can mean reaching out to staff who have disabilities to come together and discuss issues relating to work. In general, affinity groups work best as open forums, with voluntary attendance. (If you chase down all the people with disabilities you can find, and appoint them as committee members because of their disability, don’t expect a lot of productive discourse.) Forums should be open to nondisabled participation. For example, a deafness affinity group host may want to consider organizing translators for hearing capable attendees. Without any purposeful facilitation, affinity groups can seem like merely a place airing grievances with no hope of resulting change. Proactive can mean productive if facilitated well. One way to draw out ideas to solve existing problems is to hold innovation challenge events. In such events, employees are invited to join groups to discuss ideas that will improve any aspect of the organization. There may be issues that would never get raised by other means—in that important problem issues may be raised indirectly—in the form of a potential innovation that benefits employees with disabilities. ‘X-Prize’–like grand challenges to industry sectors have become popular in recent years. Companies can take a similar approach, albeit on a smaller scale, to foster problem solving in their workforce. The Guides section of the website provides step-by-step guidance for other aspects of organizational change. The Q&A section of the site provides answers to common questions about implementing accessibility solutions. ‘Cogwheel and lifebelt, Watcombe Beach’ by Derek Harper. CC BY-SA 2.0. Cropped from original.